To encourage qualified Democrats to seek public office and support their endeavors. To initiate and carry out the programs and projects on behalf of the Democratic Party and its nominees. 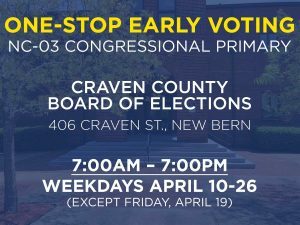 The current chair of the Democratic Women of Craven County, currently Barbara Harrison, is a voting member of the Craven County Democratic Party’s executive board. You can email her at democratic.women@cravendemocrats.org.